It’s no secret that transport is on the verge of a revolution. Car-sharing services have dovetailed into the market on the back of success seen by ride-sharing. The world is preparing for the introduction of driverless cars – once depicted as an almost impossible concept by sci-fi movies. Some predict that this turning point will spell the beginning of the end for privately owned passenger cars, just as services like Netflix made DVD ownership obsolete. Each new innovation comes with both common and unique struggles – let’s look at how each service fits within the current market, and consider how an existing operator or authority can ensure that these services integrate seamlessly into their city’s infrastructure, as the world moves ever closer towards Mobility-as-a-Service. Putting aside the controversies surrounding ride-sharing companies like Lyft and Uber, there is no denying that these pioneer companies have re-shaped customer needs and expectations with a revolutionary service. From the consumer’s perspective, on the other hand, the service has seen phenomenal success. This success has led to a popularity driven lobby effort for acceptance, despite resistance from many stakeholders who see this as a threat to the survival of traditional taxi companies. 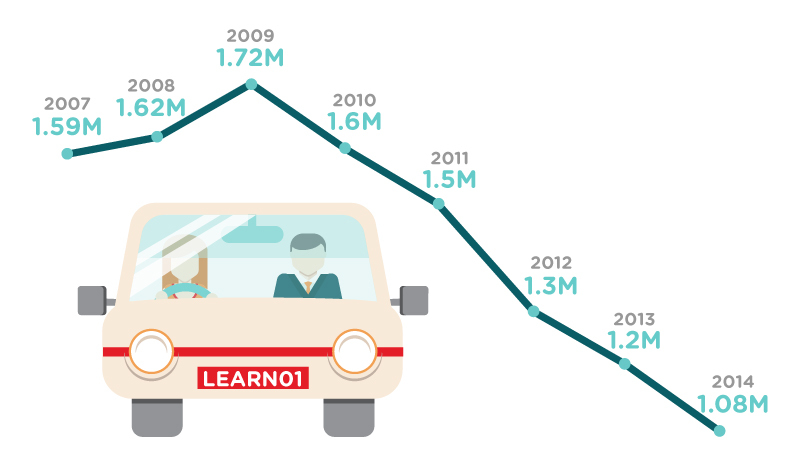 Since their surge in popularity over the past decade, car-sharing schemes are seeing exponential growth. Driver licencing numbers continue to drop as urbanisation increases and the focus moves from ownership to experience when choosing our preferred mode of transport. In Snapper’s hometown, Mevo (Wellington’s first electric car share service) has been operational since December 2016. Whilst already successful in many cities around the world, the concept is still very much in its infancy in New Zealand. Mevo has been working with Wellington’s local government to successfully integrate its service into the city’s infrastructure. Achieving this integration required a careful balancing act between introducing the service via reserved car-parking spaces and ensuring that the council continues to cater for private car owners. The council needed to avoid exacerbating an issue of already limited car-parks – an issue compounded by a recent destructive earthquake that saw the city’s parking space capacity reduced by 3000. This relationship has been fundamental to the success of Mevo’s launch. Arguably the most controversial advancement hitting the transport industry, the first trial of driverless taxis is already underway in Singapore. 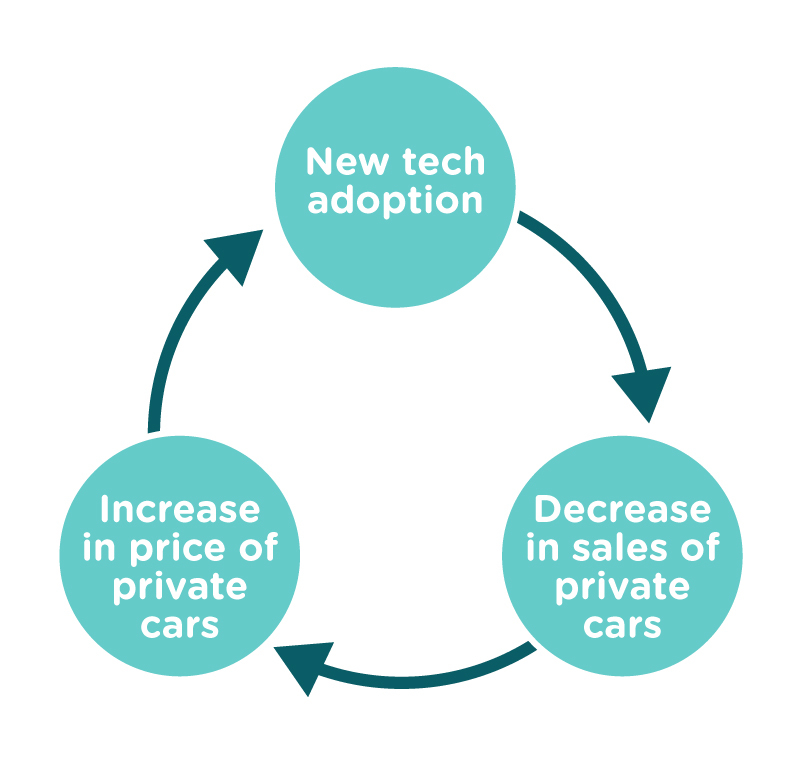 A car that drives itself requires a monumental shift in the mindset of both the user and transport operators making this the most disruptive advancement that the industry has seen in decades. With any disruptive innovation comes inevitable tensions. For driverless taxis, once the necessary regulatory amendments are achieved, the next hurdle will be convincing the market. We are still a long way from being able to call ourselves a society that trusts artificial intelligence. Safety levels still needs to be proven before the majority of consumers will make the shift to an autonomous vehicle. Increasing urbanisation and the introduction of these services have already begun to re-shape the needs and expectations of citizens. A collaborative approach is needed to keep citizens mobile and achieve a customer experience that makes public transport an attractive alternative to private cars. Whilst natural market evolution will slowly chip away at some of the foreseen barriers, a proactive approach to the imminent changes ahead is essential to meeting evolving – and as yet unforeseen – customer needs. Firstly, to enable entry of each of these new innovations, there are several bureaucratic obstacles that the industry will need to overcome. As we’ve seen with the likes of Uber and Lyft, lobbying these changes quickly became a market led movement. Uber’s self-fulfilling prophecy was driven by aggressive marketing and actualised by the strong market following that ensued. Relationships between new operators and local authorities are crucial in these early stages – a careful balancing act between fostering progress and managing disruption. Authorities face pressure to keep up with advancements in technology but we must also respect their obligation to cater to the needs of all citizens. In many cases, this may require an incremental approach with infrastructure requirements allocated in stages, based on the same rate of adoption. Another barrier is consumer trust in autonomous vehicles. The uptake of autonomous vehicles is reliant on consumers learning to trust the technology. 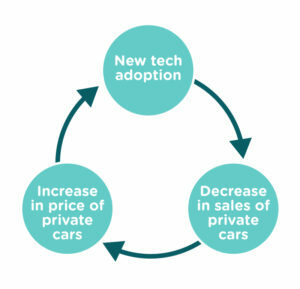 As uptake increases, we will begin to see a snowball effect: early adopters will serve as the “guinea pig” to test safety; once the safety of the technology is proven, increased uptake of driverless technology is likely to reduce market dependence on private vehicles, consequently pushing up their cost as demand decreases, which will in turn increase the financial appeal of autonomous vehicles. As market preference shifts away from private car ownership and citizens become increasingly reliant on Mobility-as-a-Service, the transport industry must ensure it is positioned to support the changing needs of its customers. This is where a collaborative approach is going to prove fundamental in maintaining a reliable and accessible transport network. Over the next one to two decades, we expect to see the synergies between existing and new players develop, with public transport authorities placing themselves at the centre of these relationships. With car manufacturers now developing autonomous vehicles, we are starting to see the private and public transport industries merge. If these modes of transport work in conjunction with each other, the result is a full journey experience that will meet the needs and expectations of customers. Failure to collaborate means potential for fragmented networks caused by the different players competing against each other rather than working towards a common goal of mobile cities. So what exactly does this collaborative approach look like? From the most important perspective – the customer’s – it looks like a world where they can get where they’re going, at the best price, with minimal effort. They’d walk out of their front door, ride share to a train station or bus stop and ride share or taxi the “last mile” to work. Ideally, by becoming a popular alternative to traditional taxis, ride-sharing should complement rather than compete with traditional forms of public transport. Forget the days of the long trek from the nearest bus-stop to reach your end destination – ride-sharing would fill the role of first and last mile journeys within public transport networks. They’d likely catch a driverless taxi across town to a midday meeting and then again to socialise after work. In the weekends, they may need the use of a car for the weekly grocery shop or to visit friends. In this case, they’d take advantage of a car-sharing service without the financial burden of owning a car. The car-share subscription may even be built into their accommodation costs. Ideally, they’d organise all of this from the convenience of their smartphone and pay through their journey planning app – an app developed in collaboration with all the providers within that customer journey. There’s no doubt that the transport industry is in for an exciting ride over the next few years. The opportunities are infinite if a city’s transport network can come together with a common goal to make its citizens truly mobile with Mobility-as-a-Service a common goal. Download our latest whitepaper for more insight into preparing for change.